Free collectors edition dark wine bottle set with partially filled wine glass. 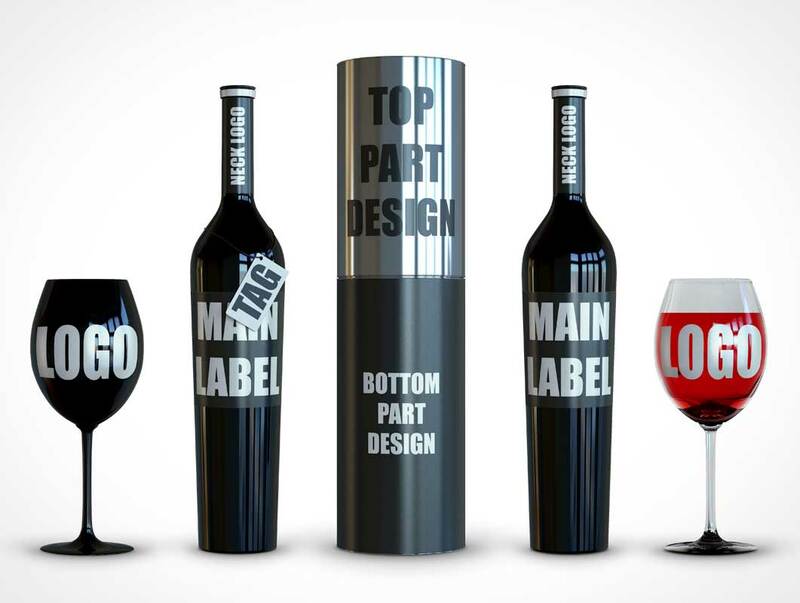 This PSD mockup includes 2 wine bottles, 1 packaging case and 2 wine glasses. The dark glass wine bottles are too dark to see through the bottles while 1 of the wine glasses in translucent enough to see the red wine product directly.